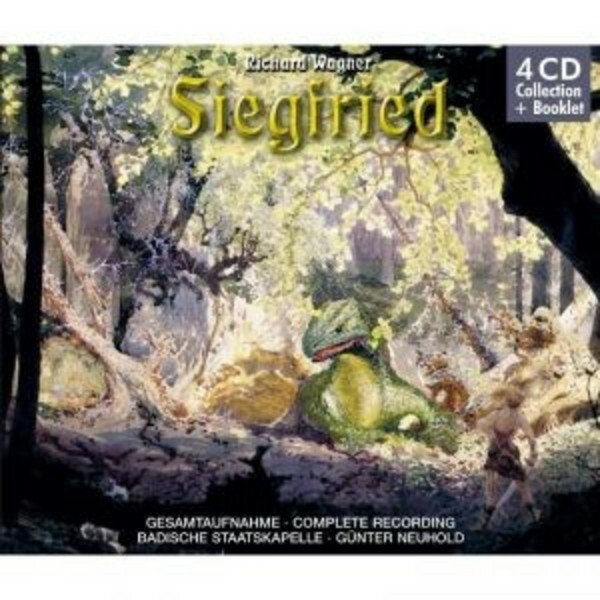 This recording of Siegfried, the third opera in Richard Wagner’s 'Ring', comes from a series of complete performances of the cycle that took place between 1994 and 1995. The Badische Staatskapelle is a symphony orchestra based in Karlsruhe, Germany, and is affiliated to the Badisches Staatstheater (Baden State Theatre). The historical roots of the orchestra date back to 1662 with its precursor ensemble Hofkapelle der Markgrafen von Baden-Durlach (Court Orchestra of the Margrave of Baden-Durlach). Early leaders of the orchestra included Giuseppe Beniventi (1712-1718), Casimir Schweizelsberger, Johann Philipp Käfer and Johann Melchior, Molter who led the orchestra for 40 years.